Happy Friday, everyone! 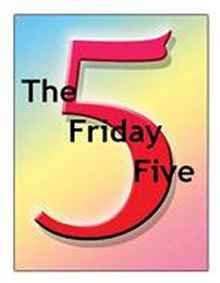 So, my version of the Friday 5 is 5 random things I want to mention. And here we go! 1. I just finished reading A Match Made In High School. My book is at home and I'm at work, so I'll write the review later. There are some HILARIOUS quotes I wanted to use. 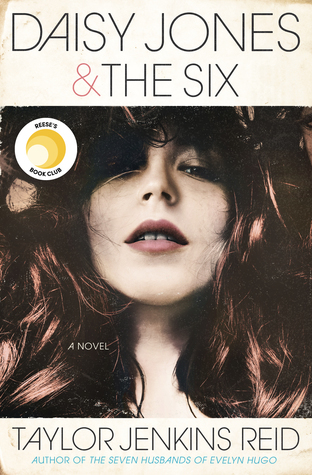 Great debut novel, Kristin Walker. Kudos! 2. Have you ever started a book while trying to finish another? I tend to do this a lot (and need to stop). Not only do I mix up information (like adding Melissa Marr's fey into a Sarah Dessen novel), but it takes me twice as long to finish just ONE book. 3. This morning, I found out that I won the Beautiful Creatures Book Club contest. I literally SCREAMED! If you have yet to read Beautiful Creatures, seriously... what are you waiting for? It's amazing. You can read my review for it here. And if you have read it, I recommend checking out their fan site: http://castergirls.com. It's fabulous! 4. So, I have 3 friends pressuring me to read Magic Bites by Ilona Andrews. Apparently, there's this Beast Lord that will fit my swoon worth boys necessity. Definitely have to check this one out. 5. I'm seriously loving this Debut Novels Challenge. Almost everything I've read, I've loved! I'm just now starting All Unquiet Things. How is it? Stay tuned to find out! Have a great weekend everyone and keep an eye out for the February giveaway! 1. I added it to my TBR. 3. Yay bay-bee!!! I'm so psyched about this whole thing. It's the special-est thing ever, and you deserved to win it. 4. *nods* As one of those pressure-y friends, I reiterate: Everybody falls tail-over-paws for Curran. 5. I keep wondering if I should participate in some blog challenges, and now you've got me even more curious. Ha ha ha! I love the challenge too.